← BMS: Red Beavers off to Montenegro with good PR’s under their belt. 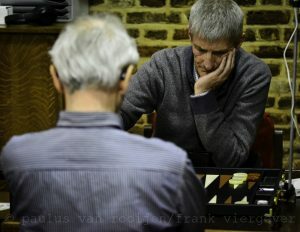 Today at 14:00, Michel Lamote will play the final of the Main Tournament of the 4th Merit Open in Budva, Montenegro, against Bakar Matikashvili (Georgia). If Michel wins the 17 point match, he will have to win a second one, to 9 points, since Bakar has not yet been defeated while Michel has reached the final from the 2nd Chance. There’s a good chance the match will be live-streamed on YouTube, at the Merit Backgammon Tournament channel. Good luck, Michel! More information on the tournament’s Facebook page. This entry was posted in Tournaments and tagged Merit Open. Bookmark the permalink.